JULY 2017: Drone filming for BBC 2 on "Secret Agent Selection, WW2"
I spent two weeks working with the Wall to Wall crew doing all the aerials for this five part living history series. It was a fun few weeks with a good crew and different flying for me each day. The best day by far for me was having the use of a steam train (www.strathspeyrailway.co.uk) for a morning to get as many interesting shots as possible in the time. 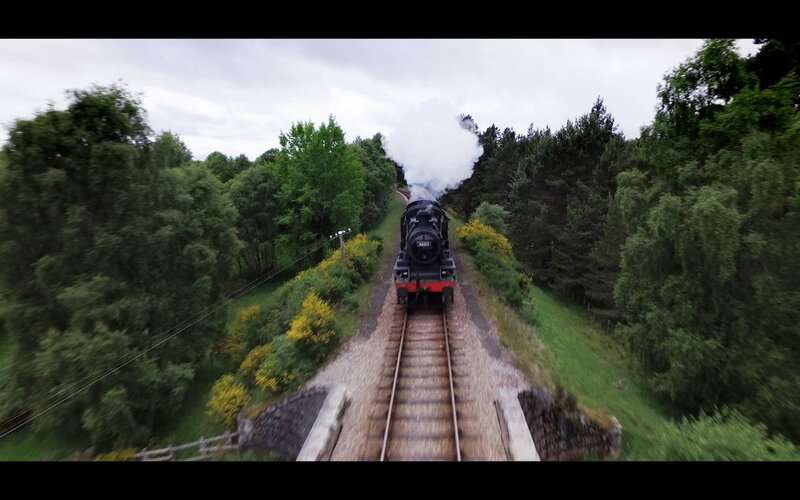 The most exciting was flying straight towards it two feet above the tracks as it came full steam towards me and then rising up through its steam and over the top of the carriages. The shots of this day were used in the opening sequences to each episode.